These days, we’re often burdened with having too many things to do with too little time to complete it all. Stress is a common component in daily life for many, but not everyone knows how to properly manage it. Left to fester, stress can lead to some serious health problems. Last month, we talked about different natural stress reduction techniques, briefly highlighting meditation. This time, we’ll focus on the relationship of meditation and stress relief, with emphasis on its benefits and the various types. Meditation is a simple technique of calming your mind and focusing your thoughts when, if practiced daily, can help you tremendously. You’ll find that you can control your stress level, decrease anxiety, achieve greater relaxation, and even improve your physical health. What’s more, anyone can practice meditation. It’s simple, inexpensive, can be done anywhere, and can even require as few as 10 minutes of your day. Meditation and Stress – What are the Benefits? When our bodies are exposed to sudden stressors or threats, we typically respond with our primitive “fight or flight” response. This response results in a sudden rush of adrenaline as our bodies release a flood of epinephrine and norepinephrine. These hormones cause an increase in blood pressure, heart rate, breathing, and blood flow to muscles. That’s all well and good if you’re fleeing a predator or getting ready to defend yourself, but typical life stressors can’t be easily fought or fled from. Thus, it can be really helpful to know how to manage mediation and stress to reduce any ill effects. One of the greatest benefits of meditation is that it can be a preventative measure as well as a treatment. The more you meditate, the more your mind becomes accustomed to the relaxation techniques, allowing you to then apply them in future situations. Meditation can give you a sense of calm and inner peace that greatly benefits emotional health and well-being. When you meditate, you practice clearing your mind of the information overload that builds up and contributes to your stress. It’s the one time in your day where you can let it all go and focus only on yourself, your body, and your breathing. This can help you gain new perspectives, increase self-awareness, reduce negativity, and focus only on the present things within your control. Without the heavy burden of stress weighing you down, you may find your creativity, imagination, and patience all increase. This type of mental freedom will allow you to approach your day from a healthier, more accepting perspective. Meditation can be an especially handy technique for those who have a medical condition that’s worsened by stress. There’s some preliminary research that suggests meditation may help manage the symptoms of conditions like anxiety, asthma, cancer, chronic pain, depression, heart disease, high blood pressure, IBS, problems with sleep, and tension headaches. When considering meditation and stress relief techniques, it’s important to remember that there are various types. “Meditation” is an umbrella term for the many different ways to achieve a relaxed state of mind, which can be different for everyone. Some prefer guided meditation, while others may prefer to simply sit in a quiet space and focus only on themselves. Both take a different approach, but the goal is the same. Essentially, practicing meditation is a way to elicit deep relaxation and inner calm in your body – the exact opposite of your body’s natural stress response. Guided Meditation – Performed while listening to a recording or live instructor, this method often has you form mental images of places or situations you find relaxing. The recording or instructor verbally guides you through various visualization and breathing exercises. Some find this beneficial, as listening to someone else speak can help them keep burdensome thoughts from penetrating their focus. Mantra Meditation – This method can be done on your own. You choose a calming word, thought, or phrase to repeat silently to yourself. Focusing on the repetition helps prevent distracting thoughts. Mindfulness Meditation – This method encourages you to have an increased awareness and acceptance of living in the present moment. You broaden your conscious awareness by focusing on what you experience during the meditation, such as the natural flow of your breath and the stillness of your body. You can observe your thoughts and emotions, but not acknowledge them. Rather, you let them pass without attention or judgment. Qi Gong – This practice comes from traditional Chinese medicine and typically combines meditation, relaxation, physical movement, and breathing exercising to restore and maintain balance. Tai Chi – A form of gentle Chinese martial arts, you perform a self-paced series of postures or movements in a slow, graceful manner while practicing deep breathing. Transcendental Meditation – Similar to Mantra meditation, you silently repeat a personally assigned word, sound, or phrase in a specific pattern. It allows your body to settle into a state of relaxation without having to use much concentration. Yoga – More than just the latest fitness craze, yoga asks you to perform a series of postures and controlled breathing exercises that require balance and concentration. It encourages you to focus less on your busy day and more on the present moment. While each form of meditation is unique in its own way, they all have common elements. Focusing your attention on the present moment, relaxing your breathing, being in a quiet, calm space, being physically comfortable, and maintaining an open mind are all key aspects to successful meditation. 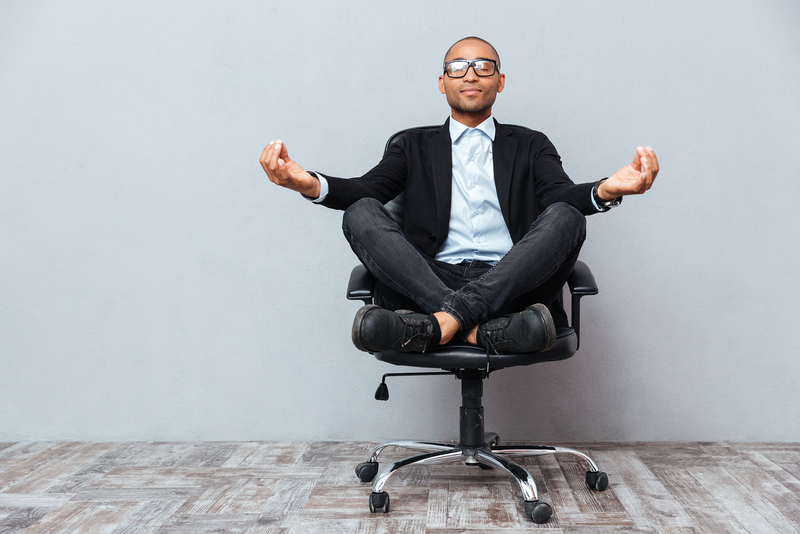 Meditation and stress relief techniques can be supremely beneficial both for mental and physical wellbeing. Of course, meditation may not be appropriate in the treatment of every kind of illness, so it’s wise to talk to your functional medicine doctor if you’re looking for natural ways to manage illness. Remember, meditation isn’t a replacement for other types of treatment, but it may be a helpful addition. Dr. Lorraine Maita is a recognized and award-winning holistic, functional, and anti-aging physician and author. She transforms people’s lives by getting to the root cause of illness using the best of science and nature. Her approach is personalized, precision medicine where you are treated as the unique individual you are. 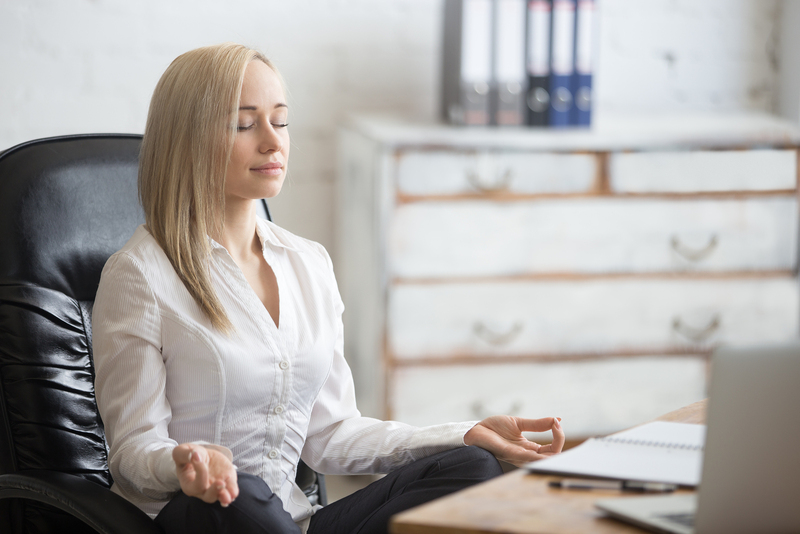 If you want to know more about meditation and stress, as well as other ways to live younger, reach out to the office today to schedule your consultation.